Standard first aid training, courses and re-certifications are the most popular basic first aid courses available. In this course participants learn a variety of different topics including cardiopulmonary resuscitation, basic first aid and how and when to use a automated external defibrillator (AED). Prompt action during the first few minutes of an emergency can have a huge impact on the survivability of the victim. 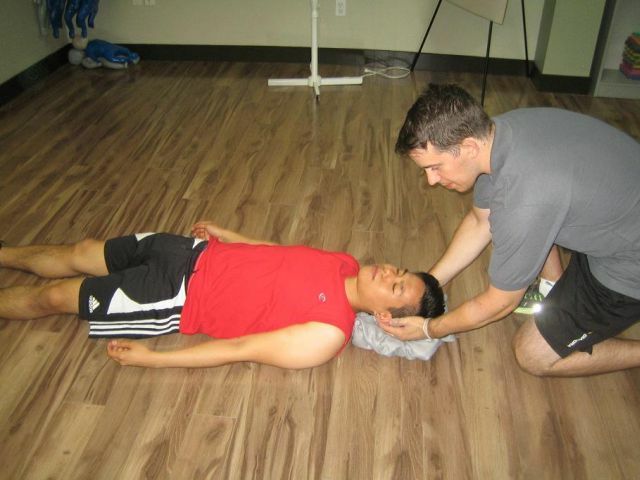 This article provides guidelines on how to properly assess the victim’s airway and breathing. In any emergency situation, it is very important that you remain calm. Avoid contact with any chemical and further injury to the patient. If the element is a residue brush it off, avoiding contact; prior to cleansing with water. A seizure is a medical condition that results from seizure disorders or epilepsy. It is important to have skills and knowledge to offer first aid for seizures because this is a fatal health problem. The problem involves convulsions and can at times lead to unconsciousness. Spine injuries are a medical emergency and can lead to permanent paralysis, chronic pain or even death. They occur as a result of a traumatic event such as accident or any other event that cause damage to the cells within the spinal cord. It may also occur when such events server the nerve tract that relays signals in the spinal cord. Standard first aid training, courses and re-certifications are the most popular basic first aid courses available. In this course participants learn a variety of different topics including cardiopulmonary resuscitation, basic first aid and how and when to use a automated external defibrillator (AED). Participants will learn about more than 30 different first aid topics in this 16 hour course. Participants will receive hands on training for CPR , first aid and for a AED. Legal implications of first aid in your province and country. Physiology and Anatomy of the cardiopulmonary system. Bystanders and contacting emergency medical response (EMS). Patient assessment for unconscious victims. When and how to apply a AED. One rescuer CPR for adult, child and infant victims. Two rescuer CPR for adult, child and infant victims. Obstructed airway management for conscious adults, children and infants. Obstructed airway management for unconscious adults, children and infants. Patient assessment for conscious victims. Respiratory emergencies including aspiration, anaphlyaxis, hyperventilation and asthma. Circulatory emergencies including shock, major bleeding, heart attack, angina, stroke and transient ischemic attacks. Injury management including soft tissue injuries, burns and facial injuries. Medical emergencies including seizures and diabetic emergencies involving hypoglycaemia and hyperglycaemia. Skeletal injuries including abdominal, chest, bone, joint, head and spinal injuries. Environmental emergencies including hypothermia, frost bite, heat exhaustion, heat cramps and heat stroke. Environmental emergencies including inhalation and ingestion of poisons. Victim assists and land carries. Critical incident response and the priority action approach. The length of a standard first aid course is mandated by Health Canada to be a minimum of 16 hours of training. Participants in this course will receive hands on training with manikins with lungs, barrier devices such as pocket masks and epinephrine auto-injector trainers for victims of anaphylaxis. For more information about these topics select the item from the main or side menu. Participants can select other providers to take a standard first aid course, however, not all providers meet Health Canada regulations and meet government and legislative standards. 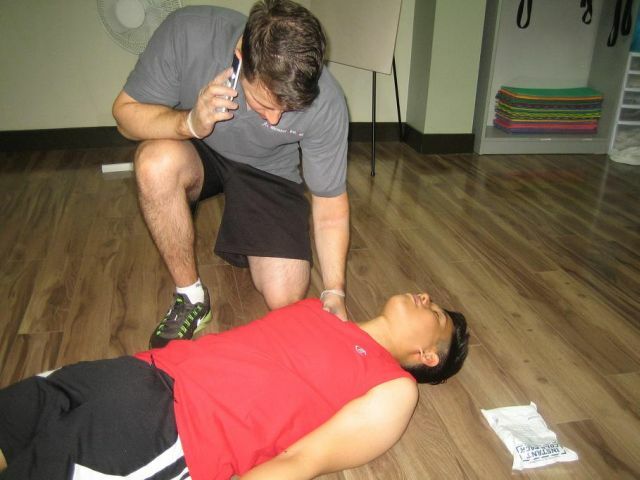 The average cost of standard first aid training is approximately 130 dollars. Course fee varies by location, CPR level and provider. To register for a standard first aid training select your location from the side or main menu to be directed to a provider near you. We have providers located throughout Canada in almost every major metropolitan region. Our premier St Mark James providers are located in Victoria, Vancouver, Surrey, Edmonton, Calgary, Red Deer, Saskatoon, Kelowna, Regina, Toronto, Ottawa, Hamilton, Mississauga, Thunder Bay, Windsor and Halifax. To register for a course in these regions visit our training locations page by clicking here .